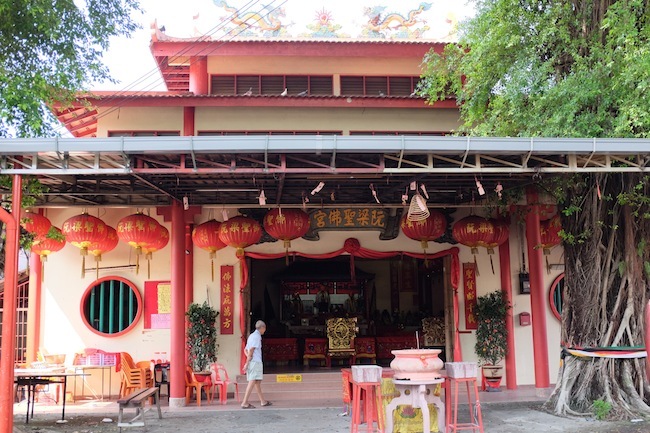 The Yuen Leong Sing Fatt temple in Kampung Cempaka is a focal point of village life. Photo: Ling Low. The old man then turned back to the table, where he continued to munch kuaci with the rest of his lunch companions, as they shared conspiration theories of the missing flight MH370. Welcome to Kampung Cempaka, a Chinese village populated mostly by senior citizens. Despited being located just off the LDP highway, half of the 1,000 odd houses here are still wooden houses with zinc roofs. There is a community center, kindergarten, basketball court, four temples and rows of shop lots. These shop lots are built in the old design, where the unit is narrow and long so that businesses can be conducted in front and the family can live at the back. The restaurants serve typical Chinese fare of pan mee, pork noodles and curry mee. There is nothing overtly modern nor gentrified here: there is no 7-11 in sight, let alone a fancy café serving cold brew coffee. But don’t be fooled. 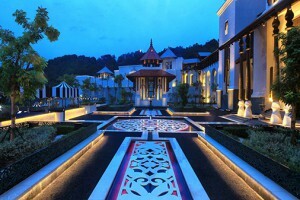 Despite its name, Kampung Cempaka is not a rustic village dotted with flower bushes. Rather, it is a resettlement area that was established in 1969: a village known in Chinese as Qian Bai Jia (1,000 homes). While it is hard to find the official reason for the village’s establishment, the rumour goes that the land was allocated to Chinese families following the riots of May 1969. Most of the people we spoke to had moved to the village in the early seventies. The rumour goes that the land was allocated to Chinese families following the riots of May 1969. 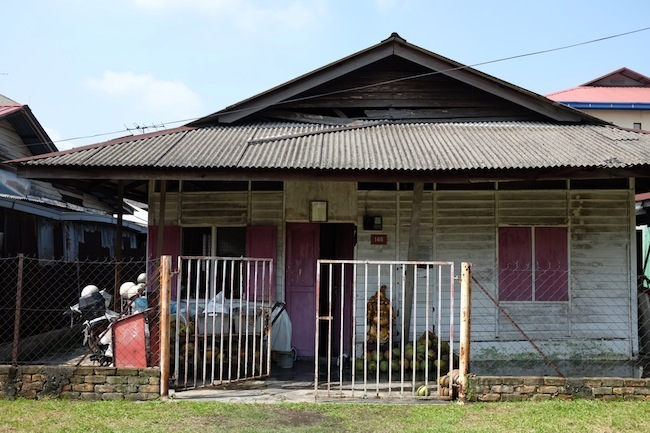 The former village head of Kampung Cempaka, Mdm Tang Kat Huey, moved to Kampung Cempaka in 1976 when she was 13 and is a source of interesting history and trivia about the area. She explained to me that the early settlers of Kampung Cempaka were given plots of land and had a free reign to build their homes however they wanted. This free reign led to the eclectic designs in the village and lack of uniformity. Mdm Tang is quick to highlight that this free reign was not a good thing, because the haphazard development lead to many problems over time. This community spirit is not unique to Mdm Tang. Many other senior citizens here contribute in one way or another to the village. One of them is Mr Wing Seng, who used to be the caretaker for one particular temple. 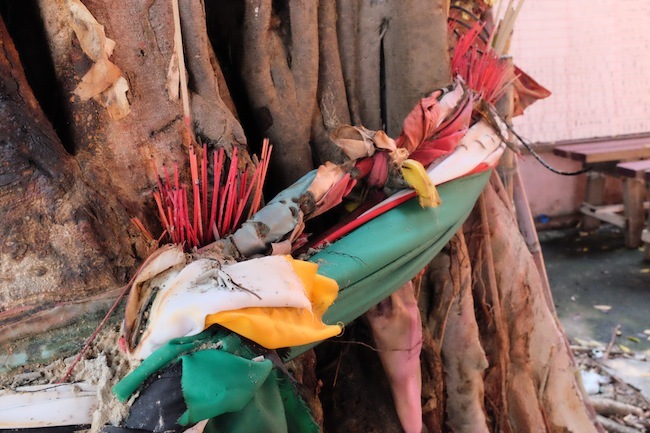 This ornate temple is Buddhist, but outside there is also a Datuk Gong shrine inscribed with Arabic, as well as an old tree that has been decorated Hindu symbols. 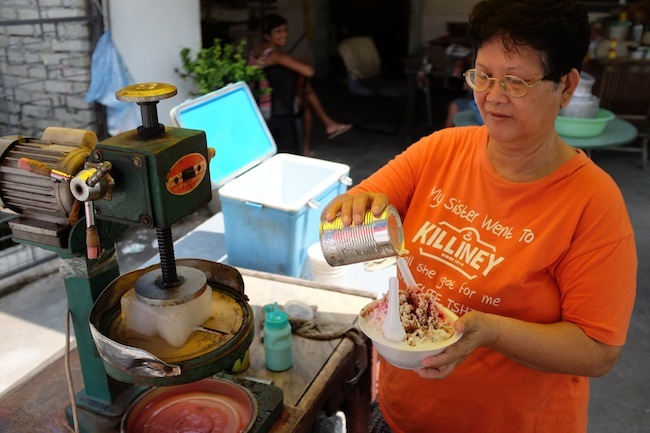 Just like Mr. Wing Seng, many of the citizens here are entrepreneurial. There is a lady selling newspapers under a large umbrella, houses have signages advertising tailor services and people set up makeshift stalls to sell everything from kuih to coconut water. I chatted to Mr Chen, who sells coconut water. He explained how he moved here from Ipoh 20 years ago because his wife’s family is from this part of Malaysia. However, his two kids have since moved to Taiwan and Singapore to either work or study. 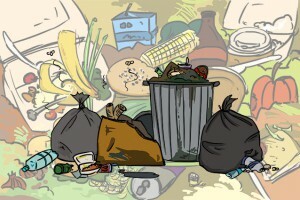 Now, it is just him and his wife who live here, in a house which he rents for RM800 a month. The house is one of those which retains their original design, built from wooden slats. 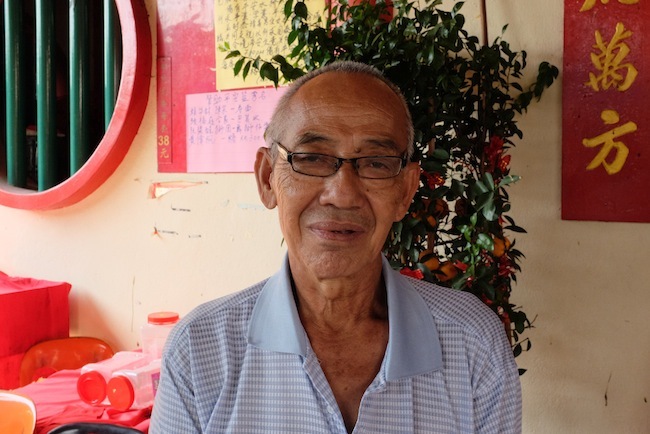 Mr Chen’s story seems quite representative of the other residents of Kampung Cempaka, where the senior citizens have settled but the younger generation seek their fortune elsewhere. Unlike the residential units, most of the shop lots have not undergone drastic transformation and some have been managed by the same owners for decades. This includes businesses which are hardly found in the city or new residential areas, such as a shop that sells only Chinese prayer paraphernalia, two medicated halls selling various types of ginseng and at least five unisex hair saloons. I am quite surprised by how a small area like this has so many hair saloons. How often do people need hair cuts and perms anyway? What do people do for entertainment? Karaoke, of course. Once a month, the basketball court is converted into a stage for interested karaoke singers. One of the residents, Mr Liang, loves karaoke and also mentioned there would be a concert a few days after my visit. “Actually, I speak Cantonese, but I taught myself Mandarin so that I can sing Mandarin songs.” As if to prove his point, he starts singing a slow melodic Mandarin song for me. The candour of the residents adds to the sense that Kampung Cempaka is from a throwback era. In this slow-paced corner of Petaling Jaya, the roads are not even painted with yellow parking lines. 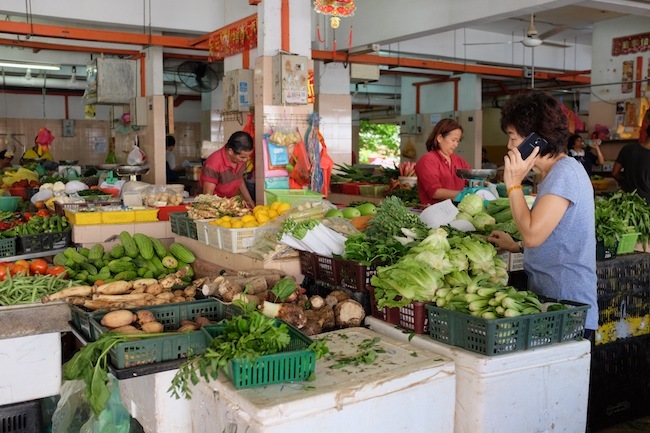 Here, neighbours know each other and life is centred on the village market. 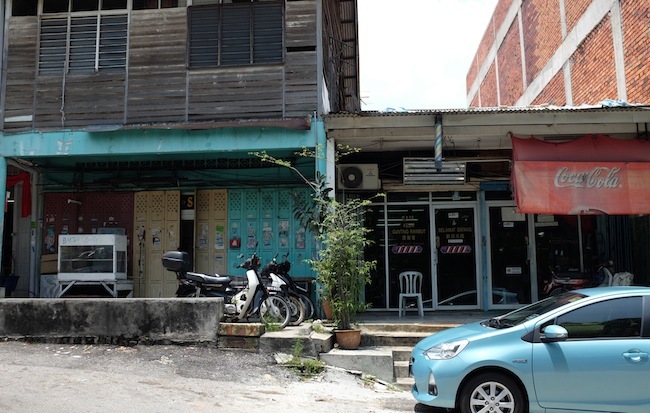 Surprisingly, the village has avoided being razed to make way for new projects, even though it occupies prime real estate and borders developed areas like Kelana Jaya, Aman Suria and Dataran Prima. When I mention future relocation, residents look puzzled. I fervently hope that they will not face the forced land purchases that have happened elsewhere. It would be hard to find any other place in the Klang Valley quite like this, where so many chatty, independent senior citizens can indulge their penchant for karaoke. Words by Annie Hariharan, Photos by Ling Low.